Yirim Seck: “As artists we have a responsibility to raise awareness"
As Yirim Seck walks along 23rd and Jackson in the Central District, he has little trouble pointing out where historical buildings once stood and where open spaces have been replaced by modern structures. He has spent most of his life in this neighborhood. The music he creates as a hip hop artist speaks to the changes in his neighborhood and the changes in larger society. 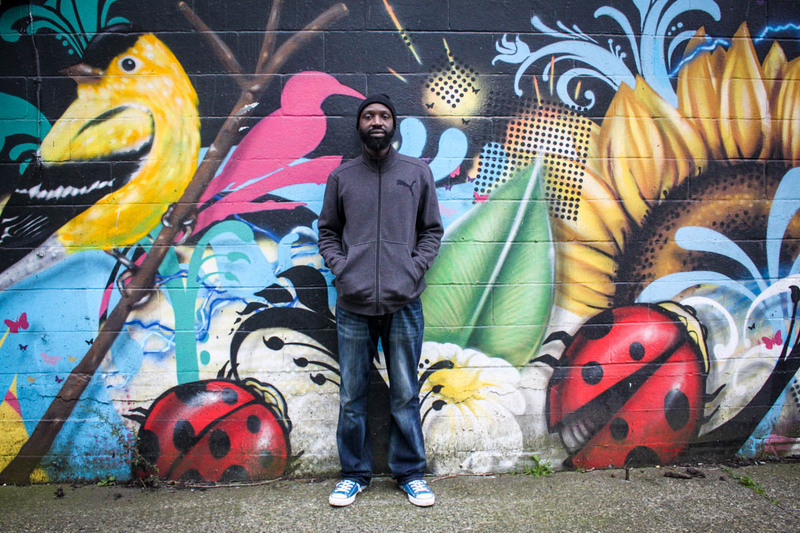 Seck is one of many Seattle hip hop artists who embody resistance in the form of music and art that pushes for local activism. “As artists we have a responsibility to raise awareness or insert ourselves in conversations to incite change,” Seck said. The music is specific to Seattle, but also speaks to larger issues. Draze, a local artist also from the Central District, released a song last year called “Irony on 23rd,” on the controversial pot shop Uncle Ike’s on 23rd and Union and the gentrification in the greater Seattle area. It became an anthem for the rally that shut down 23rd and Union last year.